Rick Craig had spent several years gathering photos and documents of his ancestors when he reached out to the team at Legacy Books. He had collected images from distant relatives and archives. The documents he had obtained showed where they had lived, and some even contained their signatures. He also had historical photos of the places he knew his ancestors had lived. The information deserved to be shared with his family, but Rick was waiting for a method that caught his eye. Unsure of what his next step would be, Rick called Legacy Books and explained his predicament. 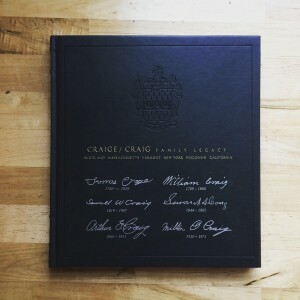 In a few minutes, Rick was ready to move forward on a Craig Family legacy book. Excited to develop the book, and the art behind the Craig family story, the team of experienced writers, editors, and designers at Legacy Books got to work, updating Rick as each section was created. 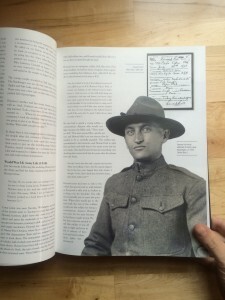 Within months, the variety of photos, stories, records, original signatures, and mementos that Rick had gathered were all put together in a leather-bound book, which Rick called “striking in terms of design, layout and material.” It was complete with the Craig family crest and original signatures of his ancestors imprinted on the front cover. Rick printed enough books to share with family, friends, and research libraries. The team behind Legacy Books believes that there is great value in saving family stories and photos, and preserving them in beautiful ways. There is no need to finish your family history work before starting your own family legacy book. Let the team at Legacy Books know what you’re working on and where you’re at—they’ll have tips and tricks to save you time and help you prepare your project. While their most utilized services are design and book production management, they also offer a variety of services that will allow you to sit back and simply approve the details as their team of experts creates your family’s book. Their range of services includes organizing, researching, interviewing, writing, editing, scanning, image editing, layout, and design. At Legacy Books, quality is essential in preserving your family history records. Each book is printed with the highest quality paper and bound in methods to help the books last. This binding allows books to lay open wide for easy viewing and displaying. Digital editions of family Legacy Books are also available via a shareable link and can be viewed on all tablets and computers. Legacy Books® is an exhibitor at Rootstech Family History Convention on Feb. 4-6, 2016, Salt Lake City. Please stop by and say hi to the team! 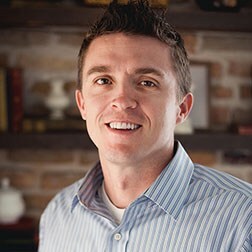 John is the voice of Legacy Books®. Earning his degree in business management, he went on to work in the marketing and PR department of a Boston based athletic organization. He gained valuable experience in interview processes, program creation, large event management and writing. His love of people and warm personality encourages in-depth interviews and discussions with clients. 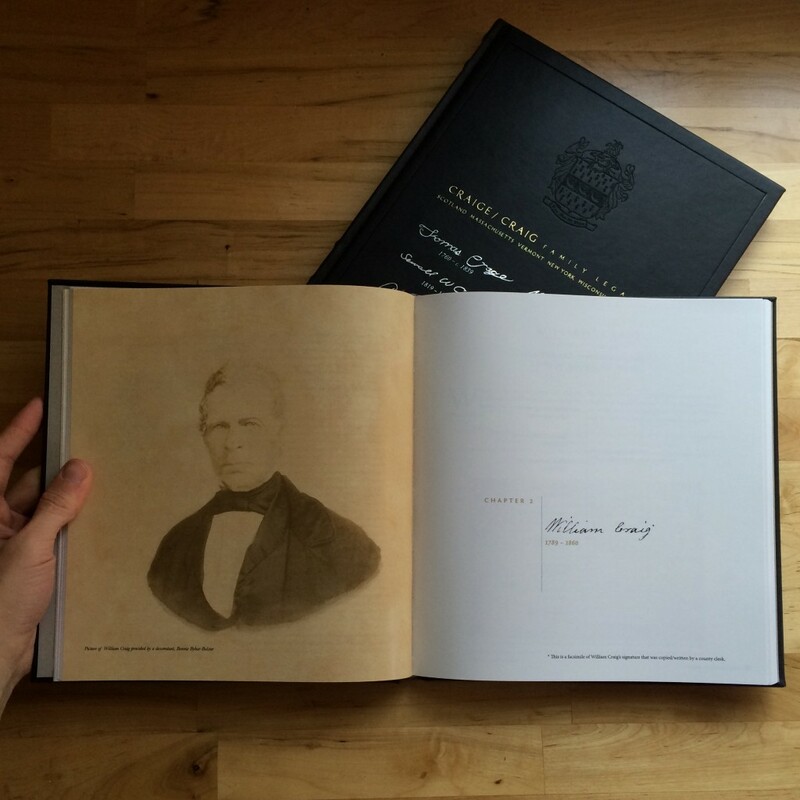 John ensures every Legacy Book is crafted with the individuality best suited to each project. You can follow their projects on Instagram, Facebook and YouTube.